I‘m Marta. 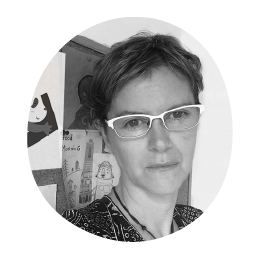 I live in Barcelona near the sea with my three kids and my husband and I share my time designing patterns, drawing prints and illustrating children books. I have an endless collection of pencils and although I finish my illustrations digitally, I like that they do not lose their handmade essence. I love drawing cute and quirky characters and I like to tell little stories with my patterns.